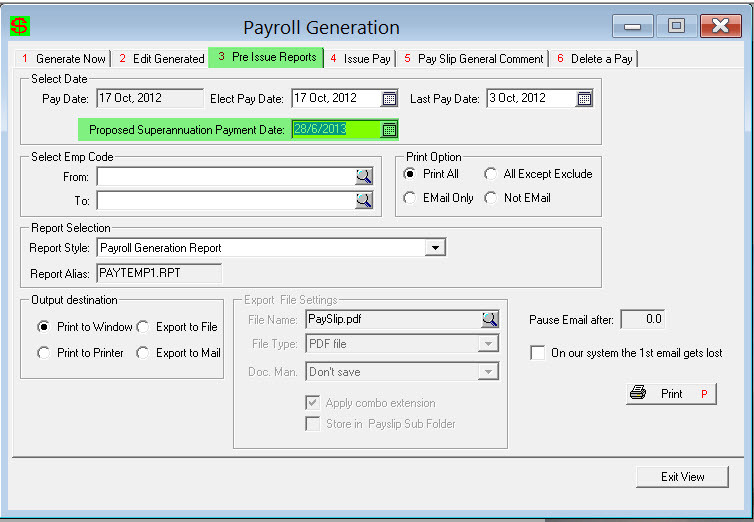 PCSchool has now added an extra field in the Payroll Generation View where the Proposed Superannuation Payment Date can be entered. Schools will need to contact PCSchool have their individual payslips modified to include this date when printed. Note: The inclusion of the proposed super payment date is not mandatory until 2014. This entry was posted in Payroll and tagged Classroom Management, Payroll, pcschool, school administration software, School Administration System, School Management Software, School Management System, school software, Student Information System, student management Software, Student Management System, superannuation by studentmanagementsoftware. Bookmark the permalink.